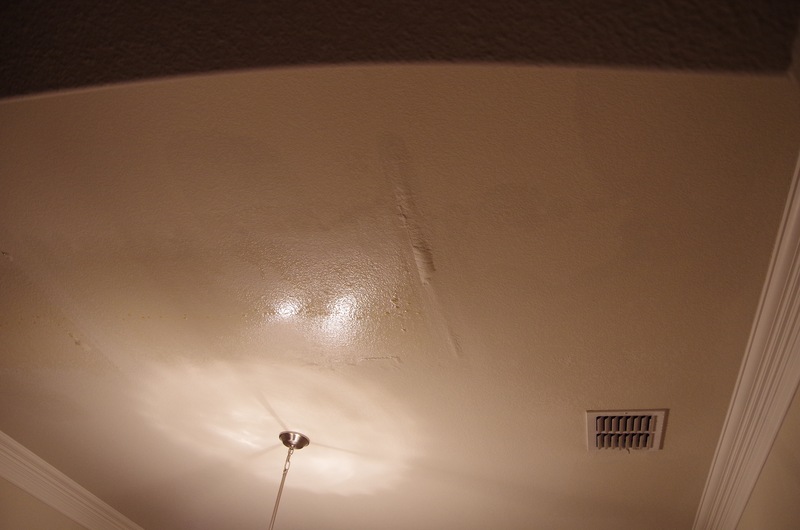 Try to imagine coming home from a relaxing vacation and walking into your home that has been flooded. The devastation can be overwhelmeing. 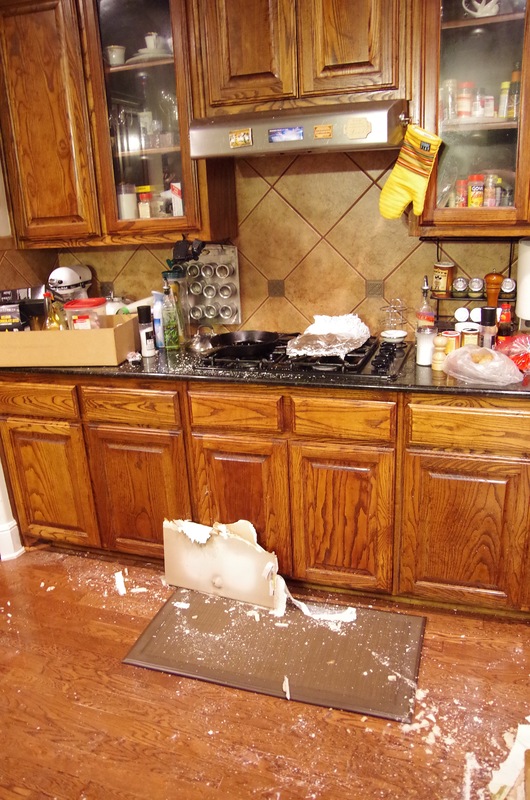 This is what happened to Mr & Mrs Frazier of Irving, Tx. 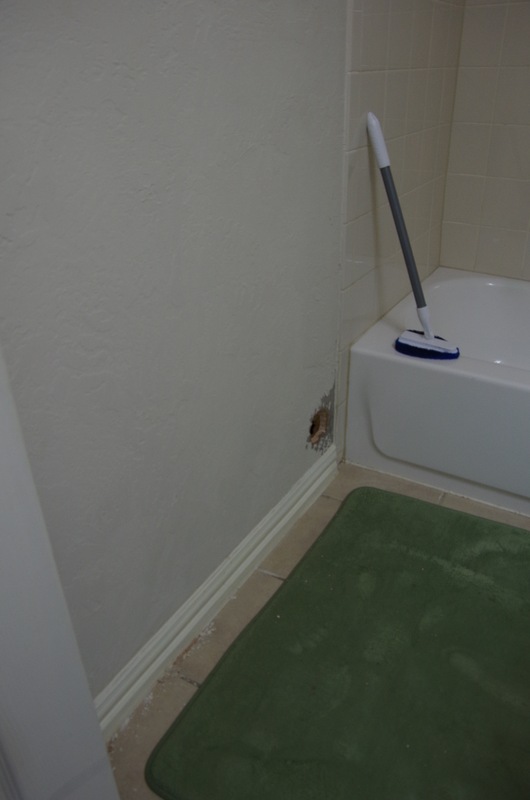 on August 30, 2015, when an upstairs bathroom toilet supply line plastic adapter broke, causing major water damage. The whole downstairs and most of the upstairs in the Fraziers 2,500 square foot home were severely damaged by the flood. 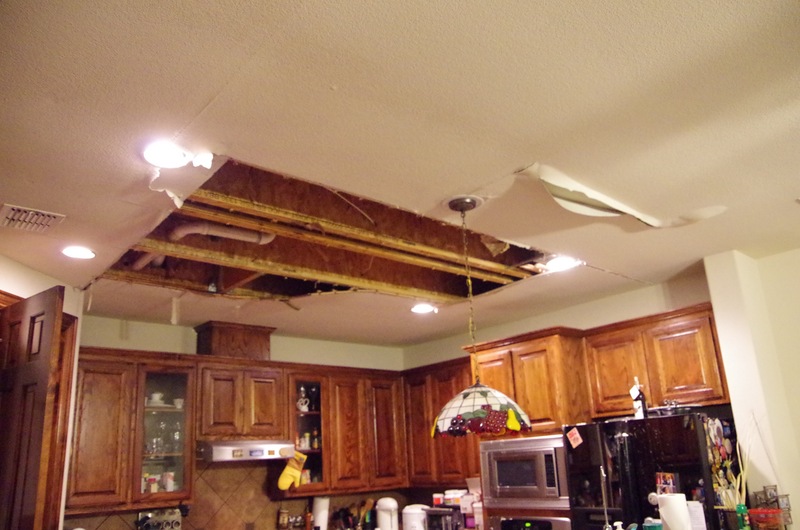 The ceiling in the kitchen had collapsed with a waterfall still flowing from the hole in the ceiling and the hardwood oak floors had already started to buckle in the living area. Mr Frazier recalls standing in about an inch of water as they were looking around at this terrible unforeseen devastation of water damage. Mr Frazier called his Insurance Company to start the process. The insurance company had given Mr. Frazier several other different companies to call. Mr Frazier remembered hearing about the reputation of Dalworth Resoration from other reliable sources. He chose to do some research of his own, going to our website dalworthrestoration.com. While reading several reviews and testimonials from other satisfied clients, Mr Frazier decided Dalworth Restoration was his best choice. When Dalworth received his call, we sent out a crew that same night to evaluate the situation. He had several concerns, such as "How long will I be in this mess?" and "Is insurance going to cover all the damages?" Great news for Mr. Frazier when we extracted all the water and hauled away all the debris that night, then set up 15 fans thoughout the home to start the structure drying process! In the living area, we removed parts of the harwood floors where they had buckled, due to the then present danger of someone falling. Mr. Frazier was also grateful for Dalworth working with his insurance company and filing the insurance claim for him. The Dalworth restoration crew came out everyday for a couple of hours at a time to monitor the moisture. The job was completed in less than a week. Mr Frazier was very pleased with our whole Dalworth Team, stating we were very efficient being on time, calling to let them know the crew was on the way, and just a steady communication between Dalworth and him. Several days later, after the job was completed, Dalworth recieved a call from Mr. Frazier. 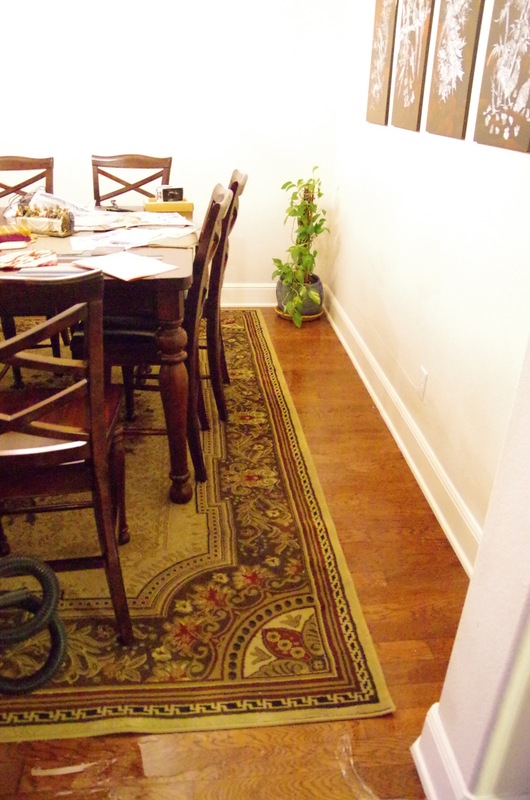 He had pullled the harwood floors out himself, and was concerned of the moisture on the slab. We sent a Field Manager right out to assess and to relieve any concerns. Mr Frazier advised we did and excellent job, especially making a special trip coming back out to his home after Dalworth Restoration had completed the job. He would definitely recommend our company to other. If you have an emergency service, our Dalworth Restoration Crews are ready 24/7 to come out and assist you. Give us a call 817-203-2944 or fill out our online contact form.